Microsoft's latest regurgitation of their Partner Portal is the Microsoft Partner Center. This is a fair bit different to previous regurgitations as it now requires an Azure AD account to authenticate against. For newer Partners this won't really be an issue as they will have a single Azure AD tenant that is where their MPN Azure Credits and also their IUR Office 365 rights are assigned. Most likely. Way back in prehistoric times, many Microsoft Partners had a Live ID (later known as a Personal Account) that they signed into the Partner Portal with. Then Microsoft came up with Azure and created a tenant based on that Live ID and failed to mention this to their Partner Channel. So, for instance, if your original Live ID was FSM@rocks.com then a new tenant named "fsmrocks" was created and it was here that the Azure Credits were assigned. Since many of us longer-term Partners signed up for BPOS (what Office 365 was originally known as) before taking a serious look at Azure, many of us followed the procedure as we'd do for our clients - create a tenant (such as fsm.onmicrosoft.com), set up a custom domain, assign the License Key here (in this case the IUR key) and away you go. This then created an Azure AD tenant and the world was good. Now there was an Azure AD tenant for your MPN and Azure credits (fsmrocks) and another (fsm.onmicrosoft.com) that had all your real users and the custom domain you used regularly (fsm.com). And unless you really needed to have Azure guests working with Azure AD COnnect back to your on-premises domain, that was also a non-issue. Now Partner Center is introduced. It needs to use an Azure AD account. But which one? Which tenant? You will need to "merge" the tenants. If you don't have anything you're not willing to rebuild (or export and import) in Azure on the MPN account, then that's going to be a lot easier. So you have a source tenant (MPN tenant - in this case fsmrocks) and a destination tenant (Partner Center tenant - in this case fsm.onmicrosoft.com). We will need to migrate your older MPN account to the new Partner Center (relatively easy) and then create an Azure Support Ticket and have the MPN subscription moved to this new Partner Center tenant (unnecessarily frustrating and difficult). So, either calling Microsoft Support (hhmmm...) or using their online support you will get the existing MPN account converted to a new Partner Center account. 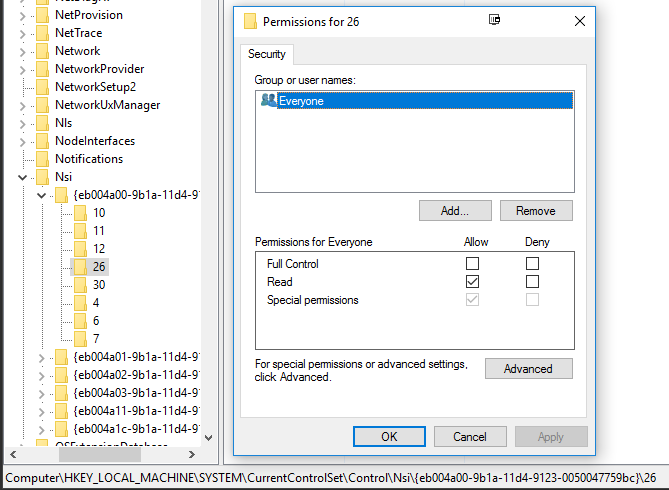 The primary login for this Partner Account needs to be a user with Admin rights in the destination tenant, so we'll use FSMisLord@fsm.onmicrosoft.com as an example. This account needs an email box assigned for the duration of this exercise, which can then be removed. Once this has finished, you'll be able to log into both https://Portal.Office.com and also https://My.VisualStudio.com with this account, however the My.VisualStudio site won't have your MPN details assigned yet. ). I'm betting it fails. So kick off a support ticket and ask to have your MPN subscription moved to the new Partner Centre account. This is where things really can go South. Quite probably, you won't have a Partner Center account that Azure can see. I don't know if the Azure team yet know the Partner Center is using Azure AD credentials. I'm sure in a few years or so they will work it out. Thre Azure team should contact you within 24 hours and will likely have no idea what you are trying to do, why, and how to fix it effectively. So after prompting by the Azure Support call center contractor, from the source tenant email address (the old Live ID) you'll eventually need to send them a lot of information - the MPN Subscription ID you wish to move, the physical address of the old tenant, the last 4 digits of the CC used on the old tenant tenant, the email address of the administrator of the new tenant, some screenshots of you logged into the new Partner Center so they can see you can log in, some screenshots of the My.VisualStudio.com login with the destination tenant admin account showing there is no MPN stuff assigned yet, and maybe something else, depending on which call center contractor you get hold of. Then from the email account of the Partner Center admin (in this case, FSMisLord@fsm.onmicrosoft.com) you need to send the same details as you sent for the source tenant, but with destination tenant information (CC, email of the source tenant, MPN subscription ID, fully worked proof of Legendre's Conjecture, and possibly some other random information about your neighbors across the road). Eventually, a few dozen emails and days later (hopefully a lot less for you since I have already detailed a lot of information above to help this procedure out) it should be sorted. 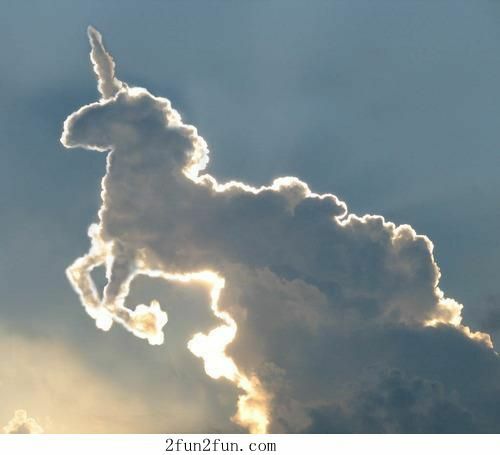 As an IT provider to SMB clients, do you look up and see this wibbly wobbly cloudy woudy thing and wonder what it actually is? Do you look at Microsoft Office 365 Business and Microsoft 365 Business and wonder what the difference is, except one includes Windows 10 which your clients already own? Are you looking at the Google offerings and wondering what Microsoft could possibly do better? Or maybe you are rather hoopy and wish to become quite a frood regarding Microsoft's Cloud offerings? Well, either way, Robert Crane (yes, THAT Robert Crane) from CIAOPS (no, not the real CIA, they already know all about you) who is a really hoopy frood can help you learn more about what Microsoft has to offer the SMBs using their Cloud services. So, if you're in or around Sydney on 19th July and are wondering which cafe to sip latte at for the day, how about heading over to Cliftons on Margaret Street instead for a great day of learning? If you want more information on this course, have a read of this page, and if you really love the idea of Robert being able to eat from his efforts and receive a lot more information from him regularly (not necessarily just about what he eats), then have a look here. As part of my "lose it to gain it" plan I'm working on, I need to eat more vegetables (not that I don't eat a lot anyway - I'd gladly become a vegetarian if meat wasn't so god-damned tasty) and more importantly, more vegetables that offer a high nutritional content. 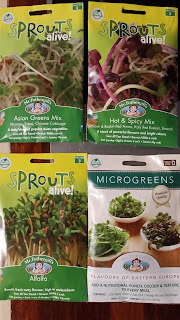 So, microgreens! What are microgreens? 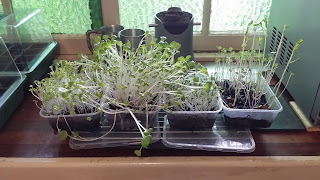 Sprouts. Basically. Well, kinda. Microgreens includes the salad greens and leafy vegetables as well as herbs and edible flowers. 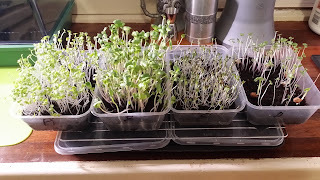 And sprouts. Microgreens includes a variety of edible, yet immature greens harvested up to a month after planting. You eat not only the first proper set of leaves, but also the stems and even the seed leaves (cotyledons). 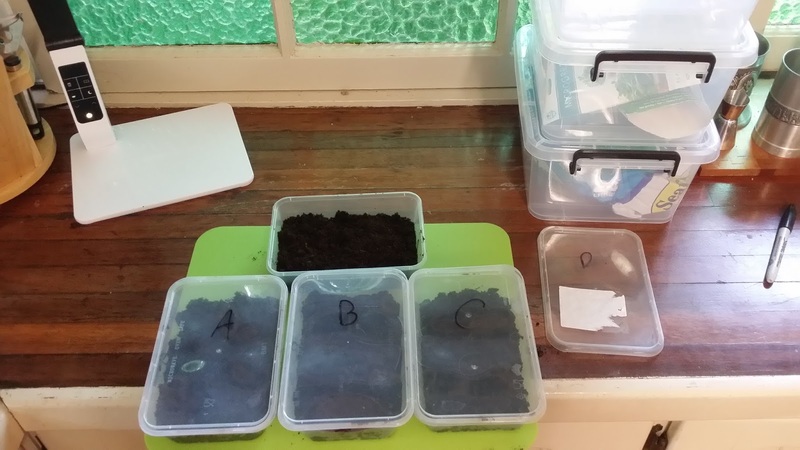 So, basically, I want to grow these in a quantity and format that there is enough to eat every day in various forms. 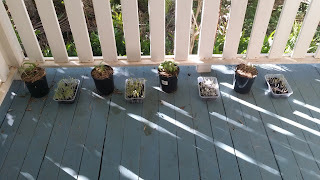 So, to do this I went to a garden shop (in this case, just to Bunnings as they were open at 5:45pm one evening) and bought some seeds (shown below) as well as some 5L plastic containers. I then decided to use the 5L containers to store stuff in - such as the unused seeds and potting mix - and use takeaway food containers (of which I have a half dozen or so - Fred's chicken necks come in these) instead. 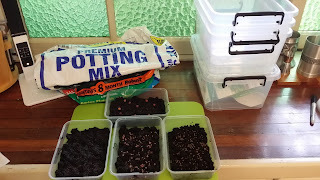 As I had some left over potting mix downstairs, I wet that with water from the fish tank, put about 2cm in the bottom of each food container then sprinkled the seeds I wanted on top of this potting mix. 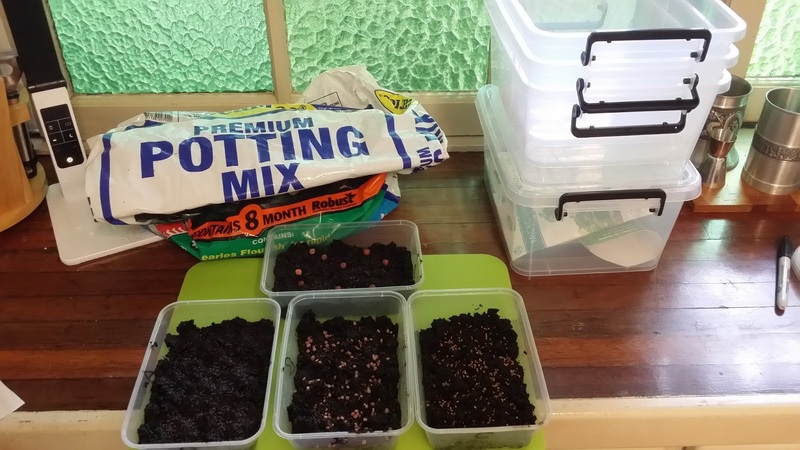 Some places suggest soaking the seeds overnight - I didn't do this but if there is a less than stellar result from this first attempt, may try that. 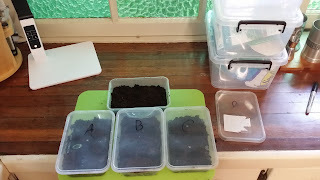 I then covered the seeds with a thin layer of dry potting mix and put the covers on the container to keep the moisture in. 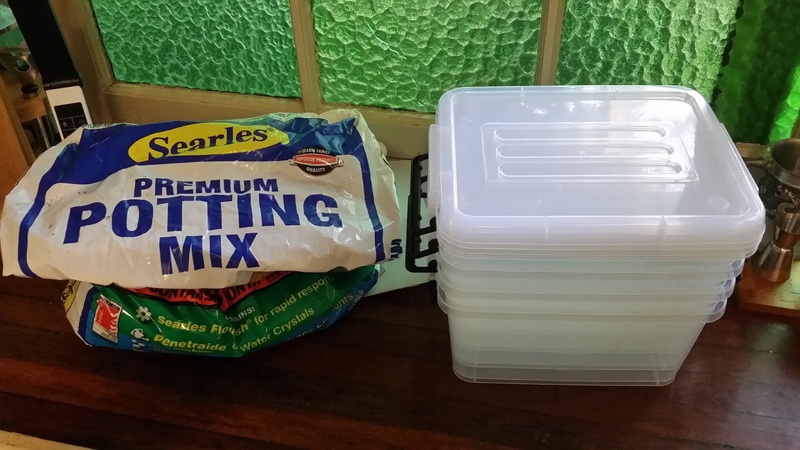 I've left the containers inside until around lunch time today. They seeds have germinated quite nicely and I'll now leave the lids off and leave them all on the verandah during the day and bring them into the kitchen at night so they can receive early morning sun. Looking good so far! 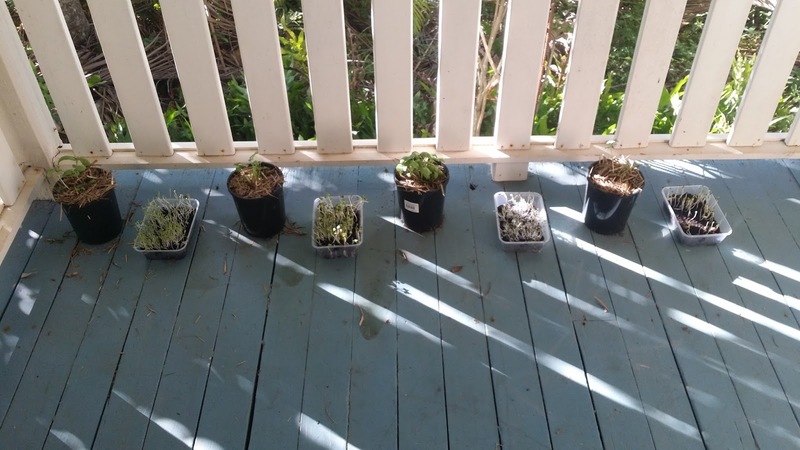 :) The basil and coriander are also coming along nicely. I will add another update or two here and then see how long it takes me to eat through this lot. I'll start another batch probably on Monday next week (it is Friday now). This will let me see how many sets I need to have in a rotation to keep this all at a satisfactory level. 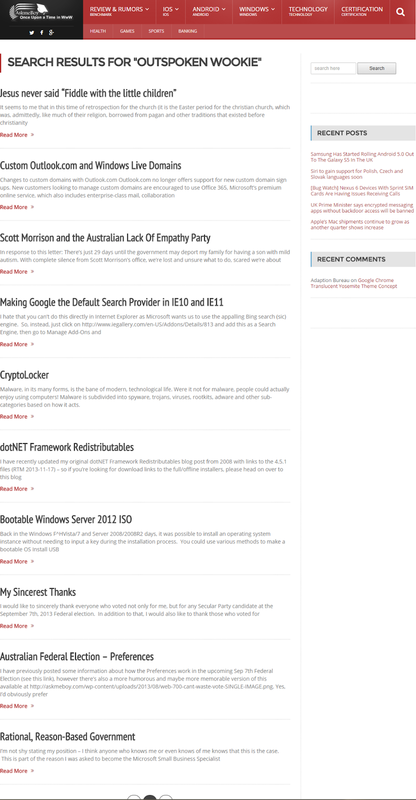 This is an update of my http://hiltont.blogspot.com.au/2013/09/bootable-windows-server-2012-iso.html post. Back in the Windows F^HVista/7 and Server 2008/2008R2 days, it was possible to install an operating system instance without needing to input a key during the installation process. You could use various methods to make a bootable OS Install USB key then simply remove the \sources\ei.cfg file and you'd be able to choose between all the versions of the OS inside the boot.wim file - this was very handy! Microsoft has made a change since Windows Server 2012/Windows 8 whereby they don't allow you to install Windows without the use of a Product Key. There is no ei.cfg file in the \sources folder and you are forced to input a Product Key during installation. Well, there's a simple way to work around this to not only create a bootable USB Key that doesn't need a Product Key during install (and lets you choose among the multiple OS variants in the boot.wim file), but also to re-create a bootable ISO image so that you can then mount this as an installation media source in Hyper-V! First, you'll need to download a Windows Server 2012, 2012R2 or 2016 ISO image or use the VL ISO image you already have there. Then you'll need to either extract this image to a folder, or better still, just run the (portable) Rufus application to make yourself a bootable USB key that allows for quite quick OS installs. oscdimg.exe -lSVR2016BIOS -m -u2 -b"U:\boot\etfsboot.com" "U:\" "D:\Svr2016BIOS.iso"
oscdimg -l2016UEFI -m -o -u2 -udfver102 -bootdata:2#p0,e,b"U:\boot\etfsboot.com"#pEF,e,b"U:\efi\microsoft\boot\efisys.bin" "U:\" "D:\2016-ei-UEFI.iso"
Please see the original post (here) for more information on the command-line options used. A number of times I have seen network stack corruption on a Windows desktop and when trying to reset the stack, an "access denied" error message is given and the stack reset fails. Run RegEdit and provide approval/authentication at the UAC prompt. Right click on the "26" key and choose "Permissions"
In an elevated command prompt, type "netsh int ip reset"
You should be able to have this work also on iOS and Android (and maybe even Mac OSX) devices by setting an account up in a similar fashion. Windows 7, the operating system that Microsoft simply can't kill off, has reached the first major step in its End Of Life cycle - the end of mainstream support was yesterday (13 Jan, 2015). As can be seen on Microsoft's Product Support Lifecycle page for Windows 7, this date has now been reached and we're now in the Extended Support phase. This is just like when Voyager 1 passed out of our Solar System in August 2012 and into interstellar space. What this means is that the product will now only receive security updates - no non-security updates will be made available for Windows 7 based products (unless you have a Premier Support Agreement for Windows 7 Enterprise, which I can guarantee no small business has). This is not a nail in the coffin of Windows 7, but it does mean that the product is entering its final years of functionality. Paid support is still available for Windows 7 on a per-incident basis. On the 14th of January, 2020 we'll have another milestone - the last day of extended (security update) support. That will be the last nail in the coffin of Windows 7 - this is what happened to Windows XP back on 8th April, 2014. So, right now there's nothing to worry about if you're still running Windows 7 on your computers - currently computer manufacturers are still allowed to supply computers with Windows 7 pre-installed if the manufacturer still has old stock of Windows 7 licenses. 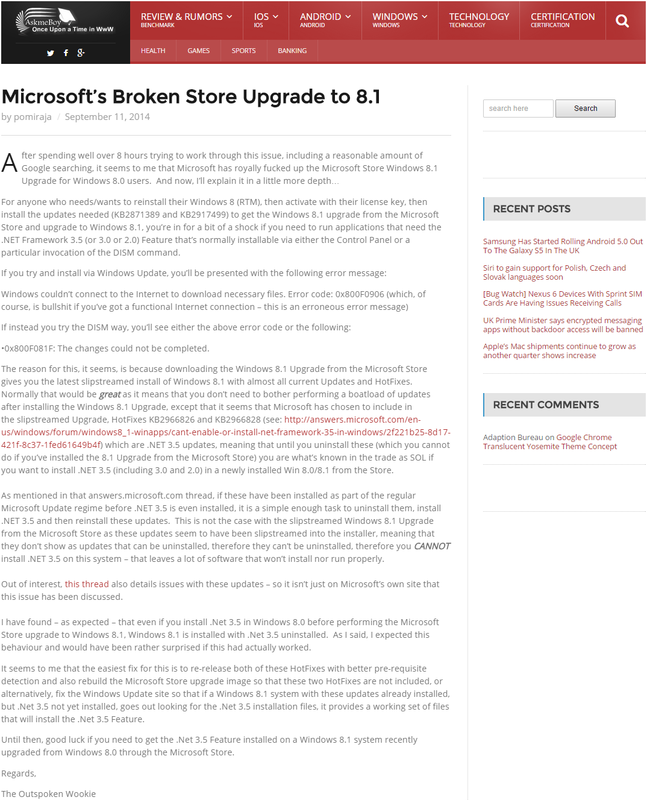 But with Windows 8 and also Windows 8.1 already out and Windows 10 on the horizon, it may be time to think about the steps needed to move up to the current/next version of Windows. 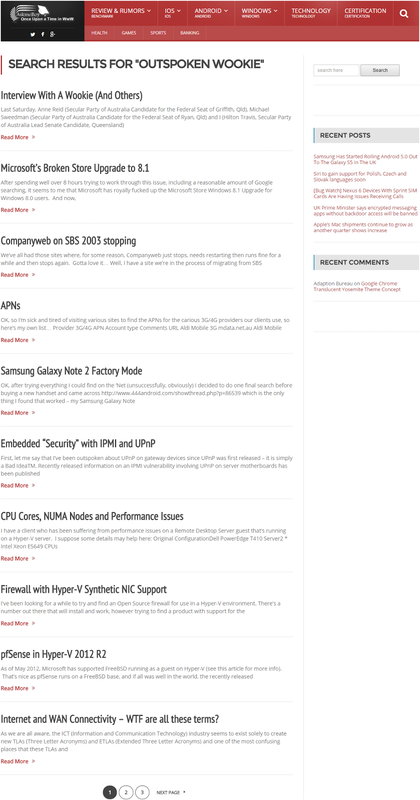 It was brought to my attention yesterday that the author (sic) Pomiraja from the http://www.AskMeBoy.com site was plagiarising my blog posts. I'd like to thank the anonymous person who brought this to my attention. AskMeBoy have so far, through Pomiraja's plagiarism, republished 26 of my blog posts (as of right now) as Pomiraja's own work without giving any credit to me. To see exactly how stupid this plagiarist is, they have even left my signature on all of the posts they have stolen! 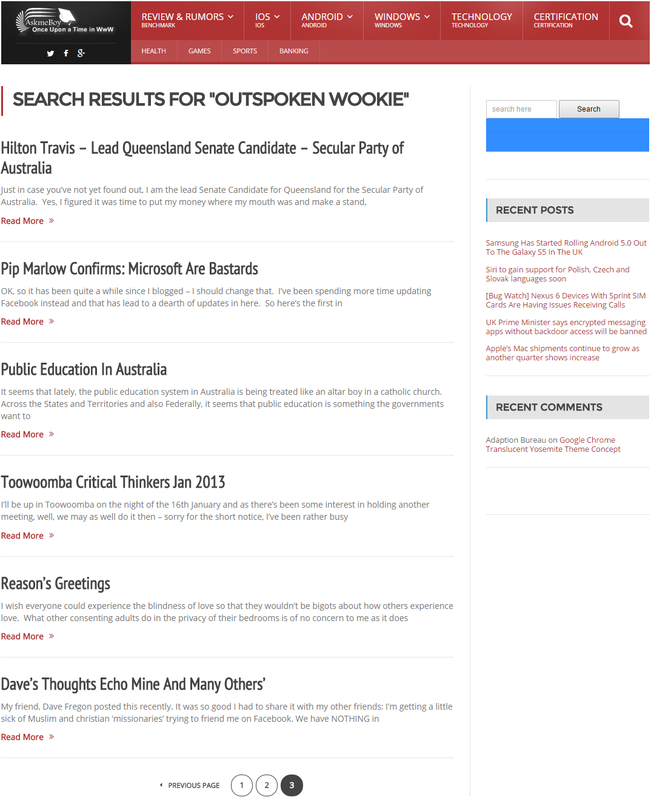 If you would like to see a list of the plagiarised posts, have a look at https://askmeboy.com/?s=outspoken+wookie or the screen captures I took below - as I said, there are 26 at this point in time. I don't know if this will encourage the owners of the website to axe Pomiraja for this plagiarism, axe the stolen and mis-credited posts, or have the site publish a written apology. Their contact page is broken so I could not contact them directly about this, forcing me to make this public complaint about their plagiarism. As we've been told all our lives, bigger is better. But as we also know, what we've always been told isn't necessarily right any more (and often wasn't ever right). So, with that in mind, I present the 6Gbps SATA Interface! So, with that information at hand, we can do a few calculations to see what 6Gbps really means. An added complication is the way that the data is encoded across the SATA interface using something called 8b/10b Encoding (and here's a link for the nerdy types) which results in a slight loss in data throughput across the SATA. The end result of this data encoding means that a SATA 1.5Gbps (187.50MB/s) interface will deliver a total of 1.2Gbps (150MBps) of data. Right, now that we know the actual maximum data throughput of a bunch of different SATA standards, what we need to do is to look for drives that we can attach to these SATA interfaces and see how fast they can go compares to the data throughput speed of the SATA interfaces. As you can quite clearly see, all of the regular Hard Drives (and even the Hybrid SSD/HDDs) are pretty much around the same maximum or sustained transfer rate of somewhere under 200Mbps, which means that plugging one into anything faster than a SATA 3.0Gbps controller will give no performance improvement whatsoever. This changes when we start to look at SSDs. The regular Samsung SSDs will deliver up to 540MBps of read performance which is well in excess of the throughput of a 3.0Gbps SATA interface - to get the full performance from any modern SSD you will need to have a SATA 3.0 (6.0Gbps) to connect it to. This goes for many current SSDs that all deliver up to around 550MBps from Samsung, Intel, Crucial, Transcend and others. Things, however, start to really get interesting when we look at the newer M.2 (SATA Rev 3.2) devices. These can deliver data across an older SATA 3.0 interface, or a PCIEx2 or PCIEx4 interface, depending on the configuration of the drive (and socket). Currently, the Asrock Z97 Extreme6 is the only motherboard to support the X4 transfer rates, however more boards are sure to hit the market soon. The Plextor M6E drive delivers just under 50% faster transfers using its PCIEx2 interface than can be achieved using the SATA specification, and impressively the Samsung XP941 512GB M.2 drive on an Asrock Z97 Extreme6 delivers over 1GBps in read performance! So, basically, if you have any form of spinning metal disk, be it a hybrid or not, there's no need to upgrade to a 6Gbps SATA controller, though if you have one on your motherboard, it won't hurt to use it. If, however, you have one of the current fast crop of SSD drives, then you will need to connect this to a 6Gbps SATA port to realise the full speed of the device. There have been a number of vulnerabilities detected in various security protocols over the past year or two including BEAST Attack, Heartbleed Bug and POODLE Attack. 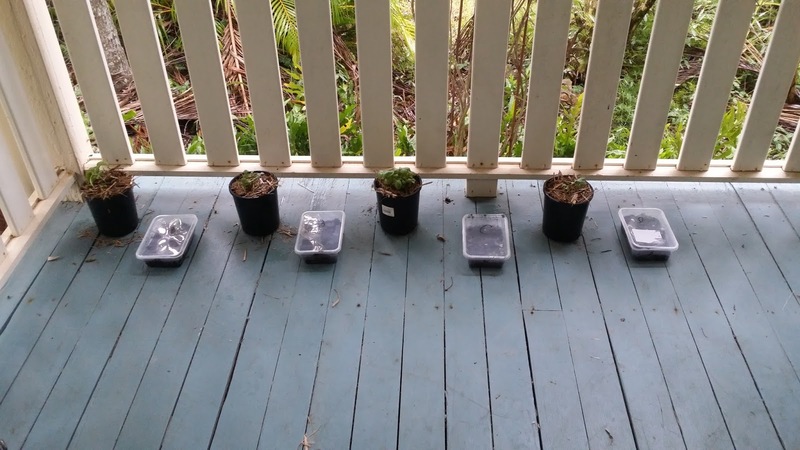 At least 2/3 of these have names that give some indication of their severity and the remaining 1/3 leaves you with a rather interesting visual image. But be ye not distracted by the names - they are all things that need to be addressed in various ways. Following on from the BEAST Attack were the CRIME and BREACH attacks which, too, have been mitigated in current browsers and are a low-grade threat at worst these days. 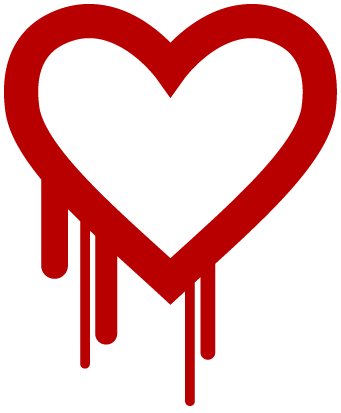 The Heartbleed bug, publicly announced in April, 2014, affected anything running OpenSSL. The Heartbleed bug allows anyone on the Internet to read the memory of the systems protected by the vulnerable versions of the OpenSSL software. This compromises the secret keys used to identify the service providers and to encrypt the traffic, the names and passwords of the users and the actual content. This allows attackers to eavesdrop on communications, steal data directly from the services and users and to impersonate services and users. Yup, it is pretty nasty but this, too, is pretty much completely mitigated by the various vendors using this code. For an easy to understand explanation of the Heartbleed bug, have a read of this XKCD comic. To see if your website is affected by the Heartbleed bug, have a look at https://lastpass.com/heartbleed/ (Heartbleed bug only) and https://www.ssllabs.com/ssltest/index.html (Heartbleed and more). Any site that you go to that uses the "https" protocol can be checked to ensure it is running a version of OpenSSL that is not vulnerable to this attack. If the site *still* has not been updated, I'd suggest speaking with the vendor, outing them in social media and removing your account and changing any passwords and/or information that was stored in that site. 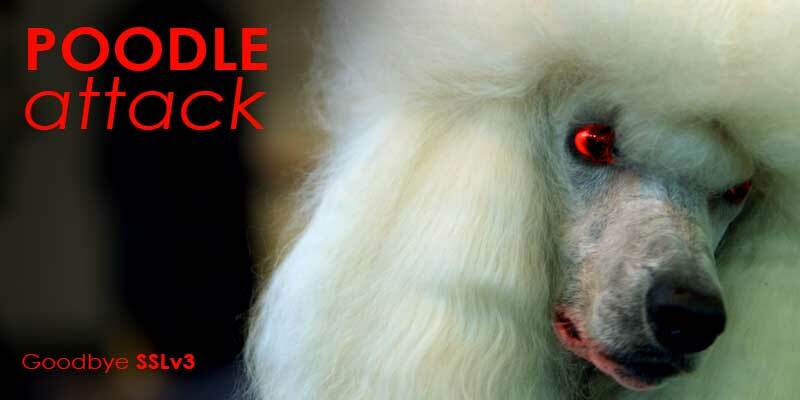 And now we come to what at first glance may be the fluffiest of all these vulnerabilities - the POODLE Attack. Basically, there's the ability in browsers to request a lower level of security from the server if the browser doesn't support the version the server prefers. This is called a security renegotation. The POODLE Attack uses a recently discovered flaw in the now obsoleted and in the process of fast becoming deprecated SSL 3.0 protocol mixed with a renegotiation attack (forcing the server to drop from TLS 1.x to SSL 3.0). The simple fix is to disable SSL 3.0 on all your web servers, however there are still some applications that use SSL 3.0 (again, speak with the vendor, expose in social media and seriously question your continued trusting of a vendor using 18 year old technology that's been superseded 3 times). To read more on the POODLE Attack and how to ensure you're doing everything you can to protect against it, have a read of https://scotthelme.co.uk/sslv3-goes-to-the-dogs-poodle-kills-off-protocol/ and then go to https://www.poodlescan.com/ and https://www.ssllabs.com/ssltest/index.html to confirm your server mitigations have been invoked. There's also a funky little tool from Nartac Software called IISCrypto that can help you properly configure your Windows IIS to mitigate against POODLE and other vulnerabilities. If you want to see if your client (browser) is susceptible to the POODLE Attack, go to https://www.poodletest.com/. If your browser is vulnerable, don't trust it to keep your data secure. I'd *REALLY* like to know how, if Microsoft is pumping so much time and energy into Azure, it cannot handle the VHDX format, let alone Generation 2 Virtual Machines from Hyper-V 2012? I mean, we're now in 2014 and have the Windows Server 10 Technical Preview available to us and Microsoft still can't handle .VHDX files in their Azure virtual machines! This is slack. Really slack. It means that even though we who use on-premises Hyper-V Servers can use the current Microsoft technologies for all of our current-release guests, we cannot do it using their Azure platform. It means that we cannot even upload our virtual machines nor use SCVMM and replicate our Gen 2 VMs into Azure. Anyone who knows me knows that I'm not a fan of medical woo-woo. So, to help people understand what these quasi-medical woo-woo terms mean, here's a Patient's Guide to Magical Medicine. And in case someone is looking for the other common term for these practices, it is "SCAM" as in Supplements, Complementary and Alternative Medicine. One of the more useful features of Windows 7 that has been completely removed from Windows 8.x for no apparently decent reason is the "Manage Wireless Networks" Control Panel applet. It provided you with a wealth of knowledge and gave you the ability to, as its name suggests, manage wireless networks. So, with the demise of this useful feature, along came the Kerkia group with their WinFi application to return the functionality of this tool in a nice, usable interface. It allows you to re-order, delete, import and export network profiles and it also allows you to change a network profile between Current User and All Users. All User profiles will connect before any user has logged in to the computer. Profile "SSID2" is deleted from interface "Wi-Fi". netsh wlan export profile folder="%UserProfile%\Desktop"
netsh wlan export profile interface="interface name" folder="%UserProfile%\Desktop"
netsh wlan export profile "profile name" folder="%UserProfile%\Desktop"
netsh wlan export profile "profile name" interface="interface name"
Substitute profile name (SSID) in the command with the actual SSID network profile name that you want to export as a backup. Substitute interface name in the command with the actual name of the interface that the wireless network is on that you want to export as a backup. netsh wlan export profile "SSID1" interface="Wi-Fi" folder="%UserProfile%\Desktop"